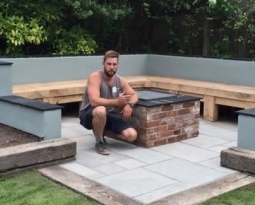 As nice as it would be to be able to garden in sunny weather all year round, the North West’s notoriously rainy climate means that there are plenty of days where sunshine is hard to come by. Luckily, it’s still possible to garden in the rain. In fact, the changes that wet weather can make to your garden mean that gardening in the rain actually offers a range of unique and surprising benefits. Do you have garden work to do on a rainy weekend? Read on to discover four tips to help you – and your garden – make the most of the wet weather. 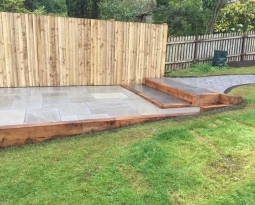 We know the weather can get difficult in the North, and you may be wary of creating something special in your outdoor space, but Beauscape design and build beautiful landscapes every day, we can take your ideas and inject some specialist knowledge and creativity into them. 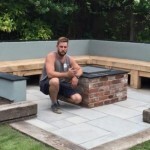 Take a look at some of the projects we still finish to perfection, despite the weather! One serious advantage of wet weather is that it produces wet soil. Wet soil tends to be looser and less firm than dry soil, making it easier for you to remove weeds and other unwanted plants on rainy days than sunny ones. Take advantage of the wet weather by pulling out weeds and old plants that you no longer want. Thanks to the light, wet and loose soil, the entire root of each plant will slide out of the ground with far less resistance than usual. Since wet weather loosens and softens soil, it’s important for you to provide support for weak or thin plants. If you notice plants blowing in the wind, install pea sticks – thin supportive gardening sticks – to make sure they stay upright. This is particularly important around the borders of your garden, since moisture is more likely to soak in around the edge with your lawn. Double check that all of your plants are supported and strong enough to tolerate the rain and wind. Plants need moisture in order to thrive, and wet weather is often a good opportunity for you to trap in the excess rainfall. Once it stops raining, try laying mulch on top of the garden’s surface to trap in the excess moisture and keep your plants healthy. Mulch is a great tool for sealing in moisture, as are small bark chips. Act as soon as the rain stops to trap in as much moisture as possible, particularly if your garden’s been starved of rain over the last few days. As well as preparing your garden for wet weather, it’s important that you’re 100% prepared for the moisture and cold. Beauscape recommends wearing a thick pair of gardening gloves, a jacket, waterproof trousers and a hat to keep you protected from the rain. 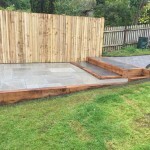 It’s also worth slipping on a pair of boots with thick, high-grip rubber outsoles – to make sure you can easily move around your garden without slipping on wet surfaces, especially if you are doing some hard landscaping, like creating a new patio or a making a new driveway. 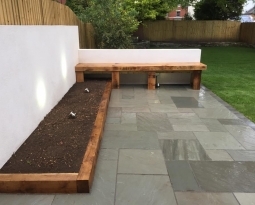 If your garden is looking a bit tired, or you want something fresh and exciting from your outdoor space, get in touch with Beauscape today for a free design consultation.